O.k, is it o.k if I show a WIP? 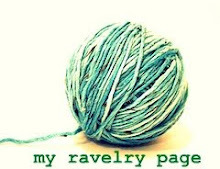 I already posted about the things I made so far this week. I can't believe how fast time flies. Really! I have a list a mile long of chores I need to get done today. I'm checking off as I go. Main thing is clea(r)(n)ing up this studio, because I received a few orders, and I can barely find my shipping supplies. I bought tape for me and both girls and every single one of the rolls has disappeared! And some new ideas you'll have to stay tuned for. I love these Matryoshkas. They remind me of my Great Grandmother. My Dad's side of the family are German that left for Romania a few hundred years ago-and now went back 'home'. It's a long complicated story I barely understand, for another day. I wanted to post a photo of her but, like other things I haven't been able to find my Dad's photo album for awhile now- I'm not even sure when I saw it last, or of it made it in the move. And I'm the caretaker of it, so it really makes me nervous to even think about. However I will find it, (positive thoughts) and when I do, will post of photo of her with her "Babushka". I'm not sure if it's considered the same thing, but it reminds me of that. I LOVE it. I really like your way of putting things together. You are awesome lady! Still drooling over the bird bag from last week. LOL- I might have to get that when I get some more moola. Oh I love those Matryoshkas - we have two sets - one are Santas and the other are from an Artist in Residence from Russia - that material is adorable! That is some amazing fabric, I can tell its going to be a great pouch! 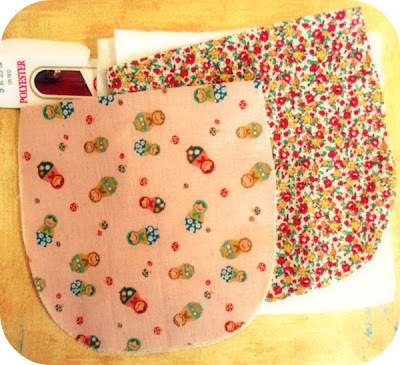 That flower print is beautiful with your matryoshka fabric. This will be beautiful!! 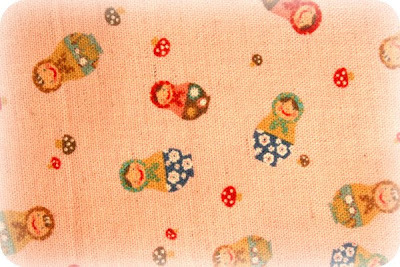 I adore Matryoshka dolls!!! I love WIP! Can't wait to see the finished product!! Let's hope for the Sun to SHINE! I really like the matryoshkas. I spent some time in Russia when I was in college (way, way, way back!!!). They bring back warm memories. I was actually thinking of trying to make felted crochet matyoshkas. Just need to make some time! I love your stuff, as always.